NEW Products, hot deal and freebie offer. Valentines Day PromosBuy a gift card and receive the same value in treatments free! Free Vajazzling with a Brazillian. Get trimmed, primmed and sparkled for your Valentine. 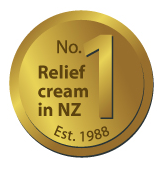 New Zealand's #1 Herbal Muscle Relief Creme is now available in Australia and on ciao bella Online. It just has to be tried to believed and you will also fall in love with the delightful peppermint scent! So fake tanning can be a healthy alternative to spending too much time in the sun. But what fake tans are the best? What professional fake tans are the best? In this segment on Today Tonight a selection of fake tans are put to the test. Yes it's that time of year again. With only 3 weeks to go! ciao bella has some fabulous new products in their salons and some great gift ideas to choose from as well. The Youngblood Summer Nights Gift Bag will get you ready for the hot summer nights out, which will sure be around this summer in OZ. An OPI Outrageous Neon Gift Box and Credo's Fluro Tweesers would make great stocking fillers and gifts for daughters or neices. ASAP has released their NEW Super B Complex. A potent anti-ageing serum with a high concentration of Niacinamide (B3) and other powerful, active ingredients to boost skin to its beautiful, radiant best. If you have NO IDEA what to get, with a ciao bella Gift Card, you can't go wrong. Of course, Nimue and Botanical Extracts have put together quality gift packs. Be sure to pop into either ciao bella Salon to pick one up before they disappear. The NEW MTS Eyelash Pep for longer, luscious lashes will be a sure hit! ciao bella Beauty Salons are open right up until 5pm, 24th December. Sinead on the front desk is amazing, always lovely and eager to accommodate me in any way that she can, nothing is ever a hassle! And Hisako is the best spray tanner I've ever come across! Initially I thought it was just the product, but I did have a botched experience with one of your other girls applying my tan- Hisako's tans are always flawless! These two girls are the reason I keep coming back to Ciao Bella, so I just want to make sure that their good work doesn't go unnoticed." Beauty treatment course card from ciao bella are great. Pay for 5 and get one free. Pay upfront for all your beauty treatments and save! A fantastic offer is available this November. Spend $250 on selected beauty treatment course cards and get a FREE $50 GIFT CARD! You can give the card as a gift or you can keep it for yourself, like many clients have admitted to already. Course cards are available to buy online, by calling either salons or by popping in and buying it over the counter. Offer is available until 30th November 2012. Read more in this great Vogue article.. Tea tree oil: When it comes to acne, this is your friendly alternative to that beast benzoyl peroxide, which has been linked to cancer and is banned in Europe. A comparative study found tea tree oil to be just as effective as BP for treating pimples, if a little bit slower on the draw. On the plus side? It exhibited fewer side effects. The ciao bella girls were just fabulous at the 2012 International Beauty Expo in Sydney this year as Makeup Artists for the Youngblood stand. 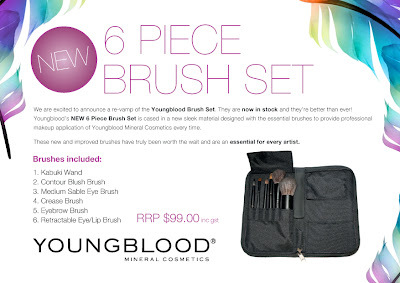 New Youngblood 6 Piece Brush Roll. Same price as the 5 piece brush roll but with an extra brush! ciao bella Beauty Salons recommend 3 quality skin care brands Dermaviduals, Botanical Extracts and Nimue. dermaviduals is world-renowned for manufacturing active skin care systems, using only pure ingredients. Employing ground-breaking technology they have created a range of creams and lotions without using the binding properties of an emulsifier. Emulsifiers can build up within the skin and dissolve skin lipids when it comes into contact with water (eg. via perspiration and general cleansing routines). This in turn can leave the skin compromised. Botanical Extracts doesn't accelerate the renewal of skin cells using AHA, BHA, Kojic or any other acids. The BE philosophy provides for long term skin health by promoting cell nutrition, cell protection and, what they believe is the key to ageless beauty, cell longevity. Unlike all other ranges, the BE approach focuses on cell longevity, as anything that promotes premature skin cell renewal is actually accelerating the aging process. Known as the 'Hayflick Limit' and repeatedly proven since 1961, it is irrefutable scientific fact that all human cells can only reproduce about 50 times, and then they disappear. In the case of the dermis and epidermis this results in a thinning of the skin as we get older. This is the 'Clock of Life'. At BE we have real solutions to change the outcome of your clock of life. The nimue product range was initially developed in 1994 aimed at the medical market for pre and post operative application as well as for advanced results orientated skin rejuvenation treatment by skin care therapists. Nimue has since evolved into a globally recognized brand, primarily amongst leading skin care salons for it`s innovative formulations and cutting edge technology based on the effective combination of exceptional ingredients with scientifically proven delivery systems. These products can be purchased in either of ciao bella's salons. View our www.ciaobellabeautysalons.com.au for latest price lists. Youngblood New Mineral Basics Kit. Contains Youngblood's best selling mineral beauty basics - Loose Mineral Foundation, Mineral Rice Setting Powder, Crushed Mineral Blush plus bonus mini kabuki & free "try me" sized Hi-Definition Hydrating Mineral Perfecting Powder. Express Yourself - NEW "No Nasties" Natural Skin Care Range at ciao bella. BE Express™ Yourself is a new, "NO NASTIES", natural, skin care range now available in ciao bella Beauty Salons. 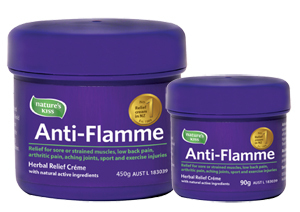 It contains essential oils, is affordable, is convenient and great for the whole family to use. NEW Natural Skin Care Range - Express Yourself. "NO NASTIES", NO MEANS NO!. Special introductory offers this July 2012 include great starter packs including handy shower caddies. BE Express™ Yourself . From the makers of Botanical Extracts. ciao bella's Starter Skin Care Kits.. a great place to start! If you are looking to try a new skin care range then ciao bella's starter skin care kits are a great way to try that new brand you have been wanting to. The skin care kits are affordable and compact and are a great introduction to the products as they contain all relevant products for an every day skin care routine. ciao bella's starter skin care kits are available in ASAP, DERMALOGICA, PURE FIJI and SUN FX. The kit's conveniently sized bottles also make them ideal for travel! One of ciao bella's most popular and best selling kits is The Youngblood Mineral Cosmetics Makeup Kit. It is a perfect little makeup starter kit for anyone wanting to try Youngblood Mineral Cosmetics. It comprises of 5 popular Youngblood products for the cost of one foundation! Browse ciao bella's range of starter skin care kits today! This Lip Balm is great for problem skin - no mineral oils, silicones and preservatives. The Dermaviduals Lip Balm is made from Natural waxes in the form of shea butter, carnauba wax, bees wax and propolis. 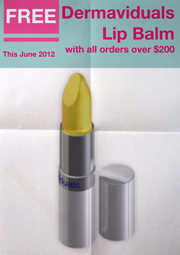 Free lip balm offered with orders over $200 this June 2012. The list of Hollywood stars who love Youngblood Mineral Cosmetics keeps growing! In March, comedic actress Whoopi Goldberg stopped to shop at NewBeauty at Fred Segal in Santa Monica, CA. Youngblood artist Max Braun showed her the Mineral Primer and she was instantly hooked, saying, "This feels so good, I’d take myself home!” Whoopi bought two bottles and completed her spree with a Youngblood blush and bronzer! A couple of weeks later, actress Jessica Alba also visited Fred Segal. A fan of natural-based products, Jessica was so impressed with the line that she ended up purchasing Eye Liner Pencil in Chestnut and Blackest Black, Lipstick in Tangelo, Liquid Mineral Foundation in Sun Kissed,Outrageous Lashes Mineral Lengthening Mascara in Blackout and Mineral Primer! Singer Chynna Phillips also chooses Youngblood to look effortlessly beautiful. She loves our Mineral Radiance Moisture Tint so much that she took time to personally contact our PR Department to let us know!